By Software Scope Zoho offers a broad software as a service (SaaS) CRM suite which includes marketing, sales and service along with optional accounting system integration via its Zoho Books and Zoho Invoice products. The Professional edition also includes inventory and workflow management. The Enterprise edition add Web tabs, auto-responders, case escalation rules, group chat and data management tools. Other comparable SMB SaaS CRM solutions include Microsoft Dynamics CRM, NetSuite CRM+, SageCRM.com, Salesforce.com Team or Professional Editions, and SugarCRM. Other on-demand solutions with a comparable enterprise-wide software scope include NetSuite, Sage CRM and SAP's Business ByDesign. By Customer Size Zoho CRM retains a diversified global customer base but the company's CRM solutions cater in largest part to the SMB and Small Office/Home Office (SOHO) markets. Zoho's sweet spot is the small business market with less than 50 users. In reality, the majority of existing Zoho customers are less than 3 users, using the free product, however, with Zoho Enterprise the product and the customer base are clearly moving upstream. Primary SMB competitors in this space include Sage CRM, Salesforce.com's Team Edition and SugarCRM. By Vertical Market Zoho is a horizontal CRM product without vertical market editions. The company has introduced a 'Zoho CRM for Verticals' program, however, at this early point it is more limited to user interface and presentation layer modifications using a 'Copy Customization' process to tailor the CRM software for industry specific terminology and presentation. Zoho also offers its Zoho Creator Tool to customize or build new database applications, and while the tool offers both a graphical presentation and the creation of custom scripts using its scripting language, Deluge, many developers are likely to revert to building custom front-ends in their development language of choice and using the Zoho API to integrate to Zoho. There is also a Zoho Marketplace—an online ecosystem of integrated third party applications which may offer increased industry specific CRM solutions over time. However, a combination of tools and channel program have left this marketplace not keeping pace with similar online marketplace programs such as Microsoft's Dynamics Marketplace, NetSuite's SuiteApp.com, Salesforce.com's AppExchange, SAP's ecosystem and SugarCRM's SugarExchange. As the Zoho API matures and additional enterprise level development tools become available, we expect that Zoho partners will in the future develop CRM vertical market extensions. By Delivery Model Zoho CRM is only available in the Software as a Service (SaaS) delivery model. There is no option for a private cloud or on-premises installation. Primary SaaS-only CRM competitors who include NetSuite CRM+ and Salesforce.com. By Geography About 55% of Zoho customers reside in the U.S., with the other 45% globally distributed although more heavily concentrated among English speaking countries. The company may show market share gains in China due to its joint venture partnership with Baihui, a subsidiary of PC Stars, and a large Chinese online distributor with more than 2300 resellers and over 1000 system integrators. In China, Zoho CRM is distributed as Baihui CRM, and the product is locally hosted in China. Zoho CRM supports multi-currency, multiple time zones and multiple languages sets, including Chinese, Dutch, English (US), English (UK), French, German, Italian, Japanese, Polish, Portuguese (Brazil), Portuguese (Portugal), Spanish, Swedish, Vietnamese, Turkish. Other global CRM solutions include Microsoft Dynamics CRM, NetSuite CRM+, Oracle CRM on Demand, RightNow, SageCRM.com, Salesforce.com and SAP Sales on Demand and Business By Design. By Price Point Zoho CRM is free for the first three users, and then priced at $12 per user per month for the professional version or $25 per user for the enterprise version. Zoho Mail, Outlook and Office plug-ins are an additional $3 to $5 per user per month. 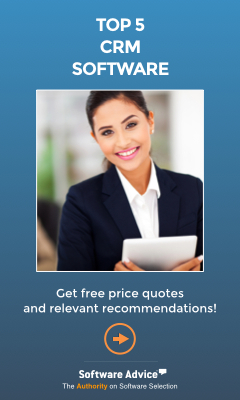 The entire suite is one of the most affordable CRM solutions available. Zoho's primary competitor at this price point is open source maker SugarCRM. Zoho CRM is a cloud CRM solution for managing sales, marketing and service in an integrated customer relationship management application. The CRM software is a low cost, fast deployment CRM solution targeted to the small and midsize business market, integrated with the broader suite of Zoho online applications and offered with a unique freemium pricing model.